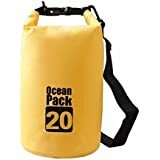 Sold by VMdeals (4.0 out of 5 | 3 ratings) and Fulfilled by Amazon. Gift-wrap available. Sold by VMdeals and ships from Amazon Fulfillment. Ships from and sold by E Retail Solution. Moving your multimedia files between your pen drives/external hard discs and your smartphones/tablets gets easier with the PNY A2 OTG Adapter Micro USB OTG to USB 2.0 Adapter. 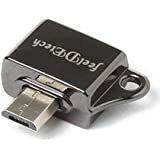 You can do without copy-pasting your data in your desktop or notebook PC and directly transfer it from your USB memory stick/portable hard drive to your mobile phone or tablet PC. 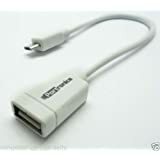 The micro USB OTG connector on one end of this A2 OTG Adapter syncs with your handsets and tablets and the standard USB 2.0 connector syncs with your USB memory sticks or portable hard drives. Sync the A2 OTG Adapter with a USB mouse, a keyboard or a joystick and enable a more ergonomic data inputting or gaming experience. 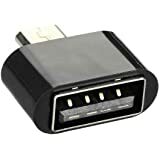 This A2 OTG Adapter can connect with any of your Samsung S2-S4, Note 2, Note, Sony Xperia Arc, Mini, Pro, Neo, Z, Z Ultra, V, ZL, SP, ZR, LG G, G Pro, HTC Butterfly, J, One, Mi 2A and 2S smartphones. 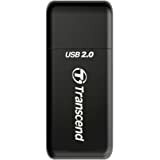 It supports a compatibility with Android 4.0 and later operating systems and comes packed in a tiny and appealing housing to allow convenient transportability. 5.0 out of 5 starsVery very handy, tiny and highly useful. 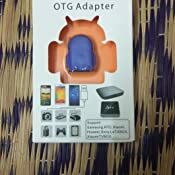 Best OTG adapter for android phones!!! Much Much better than OTG cables. 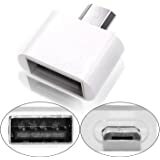 This OTG adapter is very small and very useful and handy. It comes with a keychain. 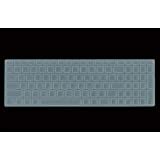 The rubber and plastic used is of very good quality. 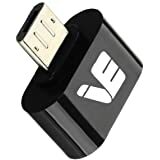 It can be easily used to attach a pen drive, USB game controller, card reader, USB hub or any other USB device. Fits very firmly inside the micro-usb port of tablet/phone. The other side has a locking standard-usb-female-port, so that when you insert a usb device into it, it firmly fits-in. 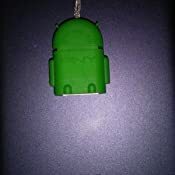 Sometimes it is difficult to tilt the android head (it is made of rubber) and keep it holding so that the micro-usb port can be inserted into tablet's/phone's micro-usb port. 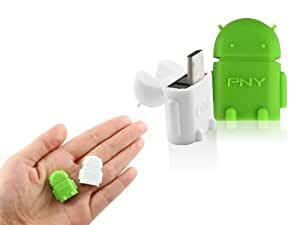 Overall product quality is fantastic and it is from PNY brand and has an excellent sealed packaging. Yes it is costly but one of the best otg available in the market . 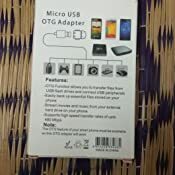 I have been using it for almost 1 year but no problem arrived eventually my friends have to go for 4 to 5 otg per year. 3.0 out of 5 starsGood but not perfect!!! It is a OK product. It serves the purpose for which it is designed. After few months of use the rubberized cover that you are seeing in the image slides off from the product and if you want to keep it in place, you have to use some adhesive. But if you remove it totally even then it is smaller in size and totally usable. Delivered on time. Packaging is also good. 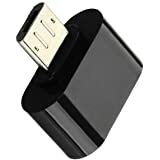 This is the first OTG adapter I ever purchased. Excellent quality. 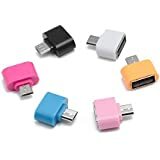 Perfectly fits in Micro USB slot of my mobile (Redmi note 4). It supports all types of pen drive, external hard disk (500GB, 1TB as well). It works very smoothly. I will surely recommend you all to buy this product. Just go for it without hesitation. Amazon will always be the best. Good performance as compared to others. Only problem is since there's no cable it sometimes feels awkward with the pen drive sticking out from the mobile. 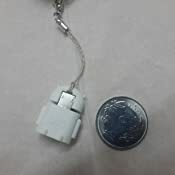 Also, the micro usb cover is little flimsy and has to be bent a lot so that the device can be inserted into the mobile. Over time the cover might break but that's ok as the quality of the adapter otherwise is excellent. I got this to expand my 16GB Mi4i phone's capacity, and matched it with a tiny 16Gb sandisk drive. Works perfectly with my (OTG compatible) phone. It's small and convenient to carry. In fact, it's so tiny that I didn't notice it was still in my jeans pocket when it went for a wash. It survived. Only one con: the cover (robot head) has a plastic hinge. This makes the cover come right on top of my home button when I'm using the OTG adapter. 4.0 out of 5 starsGreat Delivery and a Very Good Otg. The adapter works as great as advertised. I use it with my dualshock 4 to play ps4 remote play on my Oneplus one and there is no lag in controller input. So imagine how great it is when viewing a simple movie form your pendrive on your phone. 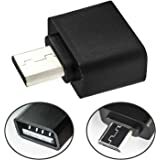 My only complain is that overtime I'm worried that the usb part might come out because whenever I'm unplugging my pendrive the usb part in the otg sticks out a tiny bit although I can push it back in by pressing it. Other than that it's just great. Three times i purchased this item. First one was one yr before and worked perfect. But i misplaced and lost the item. Ordered again and had similar experiance. Worked perfect. But again misplaced and lost. So third time i purchased one month before and got defective product. Not working. Returned and ordered agin. They send new item. That also not working. So no garantee that the product will work. If it works its good.